2019 Polaris Sportsman 6x6: Click here to view the models. Welcome to bryantpolaris.com. Bryant Polaris is located in Bryant, Arkansas, and we have launched our online store to further extend our inventory to our customers in Bryant, Jacksonville, and Little Rock. We have thousands of accessories for your ATVs and Side x Sides. 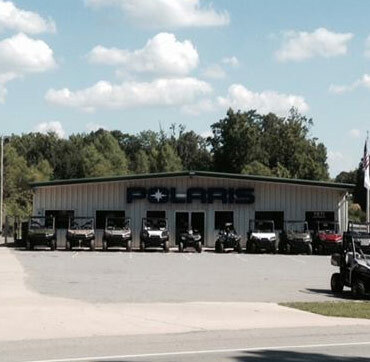 We invite you to browse through our online warehouse to find the best from Polaris and Pure Polaris. Bryant Polaris is proud to announce that we are now a full line Yeti dealer! So come stop by for your Yeti coolers, drinkware, apparel or parts. If you don’t see what you’re looking for, contact us. We offer ATVs and Side x Sides service and regular maintenance to people in the Bryant, Jacksonville, and Little Rock area. Our certified technicians are authorized by Polaris and Pure Polaris. Our service department offers performance upgrades for ATVs and Side x Sides, factory trained and certified sales professionals, service and repair, aftermarket accessories , and more. Call (501) 847-7222 or email us bryantpolaris@yahoo.com to schedule an appointment.